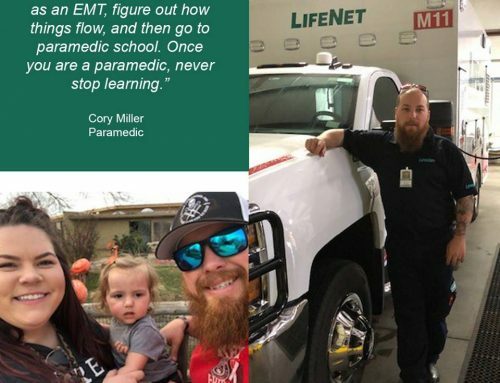 Timbo Tolleson has been a paramedic with LifeNet since 2008, but his career in EMS spans nearly two decades. 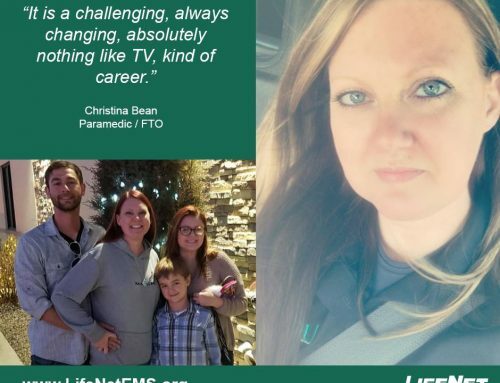 “When my sister died suddenly at 35 years old, I told my aunt I wished I had gone to paramedic school when I was younger. I realized that I wanted to do more with my life, not just earn a paycheck. I wanted to make a difference and help people,” Timbo said. 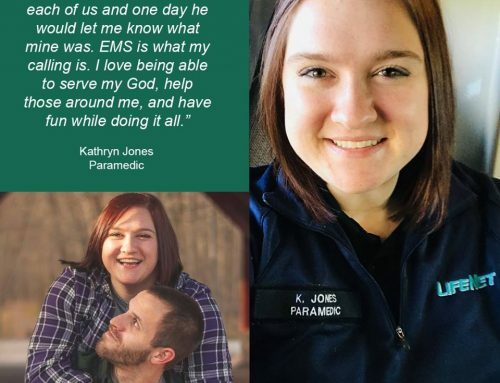 He truly feels he was called by a higher power to start a career in EMS. “God has led me to be in this field to be His hands and feet and serve Him with my career. It is my blessing to be able to help people when they need it most, even if it means praying for them or their family or just holding a hand,” he said. 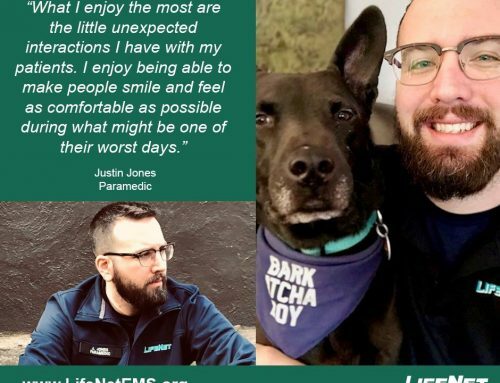 There are several things Timbo enjoys about his career as a paramedic at LifeNet. 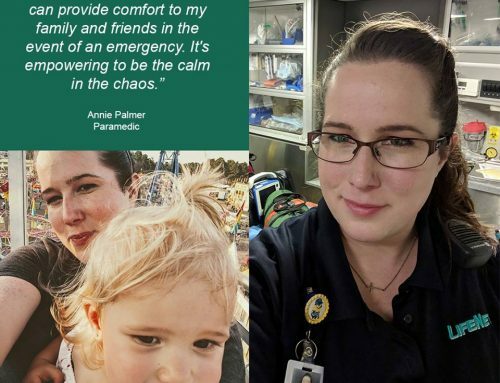 “I really enjoy the interaction with patients and their families and the people I work with daily. I enjoy coming to work every day, even on the hard days. We have good equipment to work with, managers who will listen, and coworkers that I consider friends,” he said. When Timbo is not at work, you’ll usually find him outside mowing or doing firewood or just playing with his family. They love going to the beach every year and making memories.